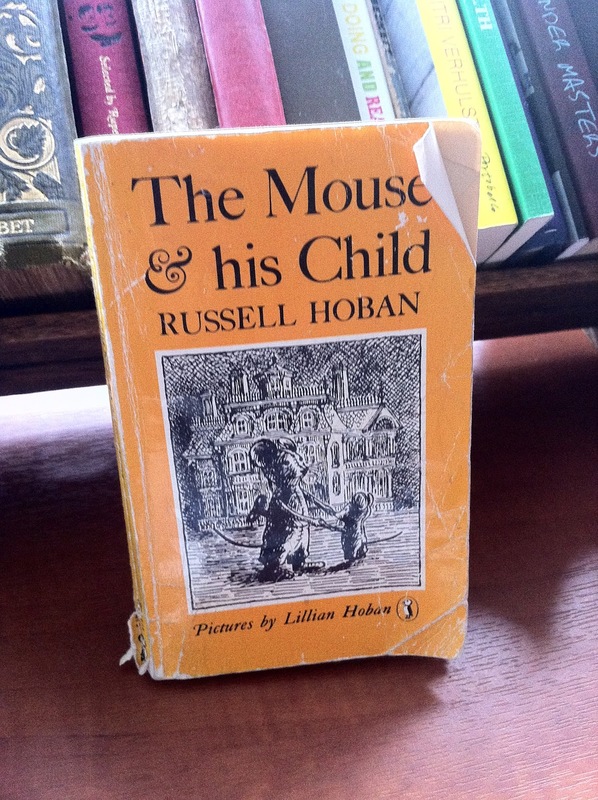 I have re-read one of my top 5 favourite books of all time: The Mouse and His Child, by Russell Hoban. It ends with a great vision of a brilliant social enterprise, well worth a read by any those of you who are thinking of tapping up the Big Society bank for a project. The business lesson here is: you gotta walk it before you talk it. The re-reading has confirmed the book’s place in my personal biblio-cosmology: it’s a significant star, bright, moving, and full of meaning for me. All that and it’s funny, too, as you can see in chapter four, when the Caws of Art travelling theatre troupe perform ‘The Last Visible Dog’ and we see Samuel Beckett both mocked and adored. I first came across the novel when my daughter brought home one of the those catalogues children used to bring home from school – books that were going to be for sale. This would probably be in the early 1980’s, and the book had this same yellow cover in those days, so maybe this, pictured, is the actual one? It says ‘Reprinted in 1983’ and that would have made my daughter 9 years old, a good age for reading this novel. I remember reading it to her, and later to my son, and later still, to a class studying ‘The Novel’ in the Continuing Education programme at Liverpool University. I read extracts from it, with parts of If This Is a Man by Primo Levi, to sixth-formers studying war literature on University study days; it was on the menu when inducting a new intake of staff at The Reader, and when we set up a staff shared reading group it was the first novel we read. Just recently I’ve read it in my weekly reading group with a Drug and Alcohol Service – the first novel we have read (next is going to be Fahrenheit 451 by Ray Bradbury), following a range of short stories and poems. I might have read this book 8 or 10 times. Having once been set in motion, we cannot wind up our own clockwork again. But we can make toys whose stillness can be rewound to new motion, toys whose stillness is never final until the clockwork is destroyed…Each toy insisting on its one idea, its one action. Assembled with or without thought by human hands and eyes and minds that put, whether they wanted to or not, some yes or no, some why? or why not? into the toys. Something was put into them. Toys? He means novels, surely? I seem to remember reading somewhere that Hoban did not like being known as a writer of children’s books ( he wrote the magnificent Frances series, as well as this and other great children’s books, e.g. Mole Family Christmas, another of my favourites, about a fat man in a red suit…), and certainly, his adult fiction deserves more recognition, but this quotation shows why he is such a wonderful children’s writer: he is utterly unpatronising. Perhaps we could just call him a wonderful writer? Some of his books can be read to or by children. But all the same, the books we call his children’s books are very much for adults. It feels as though, with all his jokes and obsessions, he’s mainly writing, as the best children’s writers always are, for himself as a reader. Russell Hoban was very interested in what it is that was put into us, whatever that is: ‘some yes or no, some why? or why not?’ In one of his greatest books, Riddley Walker, Hoban talks about this thing that is in us, looking out of our eye-holes. This a writer concerned with what Marilynne Robinson calls ‘soul’. I’m going to call it that, too. A large rat crept out of the shadows of the girders into the light of the overhead lamps, and stood up suddenly on his hind legs before the mouse and his child. He wore a greasy scrap of silk paisley tied with a dirty string in the manner of a dressing gown, and he smelled of darkness, of stale and mouldy things, and garbage. He was there all at once and with a look of tenure, as if he had been waiting always just beyond their field of vision, and once let in would never go away. The poetry of that last sentence is adult poetry, the poetry of danger, of inevitability, of war, and evil, even behind it’s opaque language of the Nazis and the camps (for yes, they are here, in the background shading of the book). Would a nine-year old-child understand it? No, I don’t think so, not even if they asked you to explain the word ‘ tenure’. Should they read or hear such a sentence? Oh yes indeed, it needs logging away in the back of the mind, for future use. ‘The tin seal,’ said Muskrat. So, just like real life, then. And just like real life, breakages and flaws don’t have to determine us, they also offer ways in which characters may become their best selves: we don’t get over our failings, so much as learn, as Sam Beckett intimated, to live with them better. And as well as what we know about, things we know not of affect us: out-of-character things happen to and through us, despite ourselves. So Frog, with his fake charms and fortune-telling, turns out to tell true fortunes despite himself. The frog, as far as he himself knew, had never accurately predicted the future in his entire life. He told fortunes for profit, just as he sold charms and cures, surveyed territories, and performed weddings. The weddings were at least legal, since he was a legitimate justice of the peace; the surveys were more or less exact; the cures occasionally healed; the charms worked as hard as their wearers; and in the matter of fortunes he had learned long ago to say whatever best suited the occasion and the customer. The mouse child wanted a family and house, and Frog desired to please him; therefore he went through the motion of the oriental divination, preparing the while to see in the future a mama, a sister, and a beautiful house. So the frog intended, but as he looked at the coin and the seeds, he found himself unable to speak the words he had planned. He had practised the seed and coin oracle many times, but never before had he experienced anything like what was happening to him now. All else beyond the pattern in the snow departed from his vision; his ears hummed, and all other sounds vanished, leaving him alone with the voice of his mind and the dark seeds dancing in the stillness of their mystic changes. I started this post thinking about the fabulous social enterprise that is built by the end of the book and look! I have wandered into soul journey territory. But perhaps they are close to the same thing. We all need home, love, action and finally, to become (more or less) self-winding. The mouse and his child, the elephant, the seal, uncle Frog and all the other broken crew of adventurers keep going until they find their own home and pull together a patchwork family. They know what others need, and are able to provide it. What they have been through together is what helps them to create a great work-for-good by the end of the book. I have just ordered a copy of this. I'm curious….have you read extracts from this with a shared reading group? We tend to read short stories at our group but we have read a few extracts from longer works. Our sole attempt to read a complete novel (Silas Marner) cannot be said to have been a great success. The group decided that the first three three chapters were quite enough! 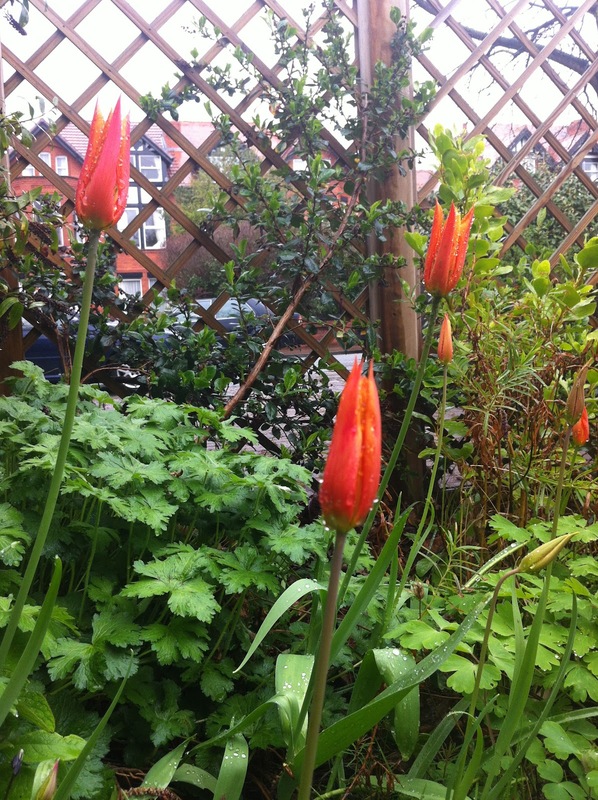 Re Silas Marner – the D+A group has that on its 'to read' list. It is a great book, but comes with a lot of problems for people who aren't used to tough reading – sentences are very long, comes with 'odour of school' for a lot of people, not sure it's going to become exciting etc. We're going to read Farenheit 451 next, Silas M after that, so will let you know how it goes. What would you say was the main difficulty for your group? Sometimes just having one person who won't go with the flow can create problems. Sometimes just the slowness irks… Terrible shame really – having to start at beginning -as you know, Silas M gets better and better! Having read the extracts from Silas M in A Little, Aloud, the group was keen to tackle the whole book. I think that the long sentences came as a bit of a shock to a couple of people. Comments along the lines of, 'When is it going to get going?' began to be muttered. A couple of new people joined at this point and the group decided that it would be better to revert to short stories. I'm hoping that we will have another go at a novel but I think choosing the right title will be crucial. All was not lost however. Three group members took Silas M home to read and reported that it was not something that they'd ever have thought of reading and that it 'got better'.